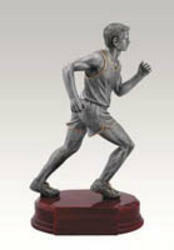 Track and Field Trophies in various size and price ranges. If you have any questions about purchasing a track trophy please call 1-800-787-8777, our friendly staff will be glad to assist you. When you need to go Big! 2P Track Trophies 18" to 28" tall. 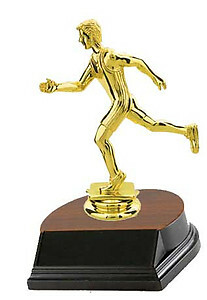 2PC Track Trophies 24" to 36" tall. 2PS Track Trophies 24" to 36" tall. 3PC Track Trophies 24" to 48" tall. 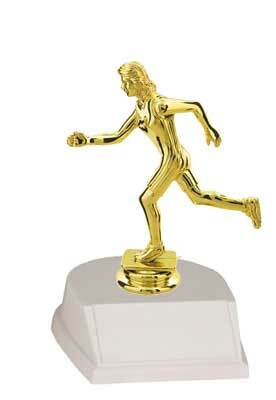 4PC Track Trophies 24" to 60" tall. Track Trophies 10" to 18" tall. R2 Track Trophies 8" to 18" tall. R2R Track Trophies 10" to 18" tall. R3 Track Trophies 8" to 18" tall. R3R Track Trophies 10" to 18" tall. S2 Track Trophies 8" to 18" tall. Please take a few minutes and visit our other track award pages.